5 min walk from Covent Garden Tube Station. Head southeast on James Street, left towards Russell Street, right onto Catherine Street and the theatre will be on the left. The biggest show on Broadway is due for a spectacular return to the biggest stage in the West End, the Theatre Royal Drury Lane. This classic tale follows small town dreamer Peggy Sawyer who arrives in New York to try and make it as a dancer on Broadway. She lands a role as a chorus girl for the new musical Pretty Lady and when leading lady Dorothy Brock breaks her ankle on opening night, Peggy has the chance to step in and take the lead. The productions dynamic cast is led by Clare Halse as Peggy and Tom Lister as Director Julian Marsh. It's brought to the West End by the production team that staged the 2001 revival of 42nd Street, director and co-author Mark Bramble. 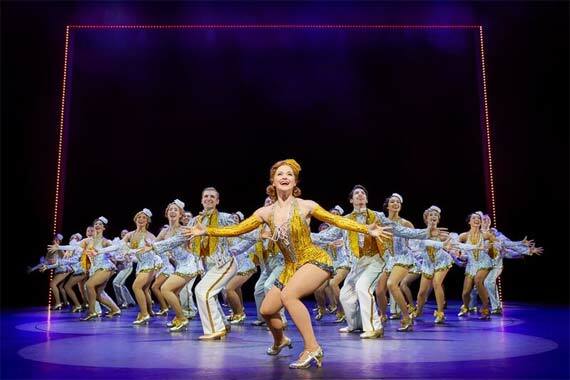 This tremendous production of the definitive American dream includes legendary songs 'We're In The Money', 'I Only Have Eyes For You' and '42nd Street' and is set to dazzle a London audience in its 2017 West End revival. Hotel Direct cannot guarantee the attendance of any specific cast member. The original production was based on the 1932 novel 42nd Street by Bradford Ropes that inspired producer Darryl Zanuck and dance director Busby Berkeley in their 1933 movie of the same name. It opened on Broadway in 1980 and played for over 8 years at the Winter Garden, Majestic and St James Theatre. The West End production debuted at the Theatre Royal Drury Lane in 1984, and launched the career of Catherine Zeta-Jones in her own Peggy-style fill in for the lead. It was revived for Broadway in 2001 by director Mark Bramble and choreographer Randy Skinner, who also staged productions across the World in UK, Asian and US Tours. It is the 14th longest running show in Broadway history. 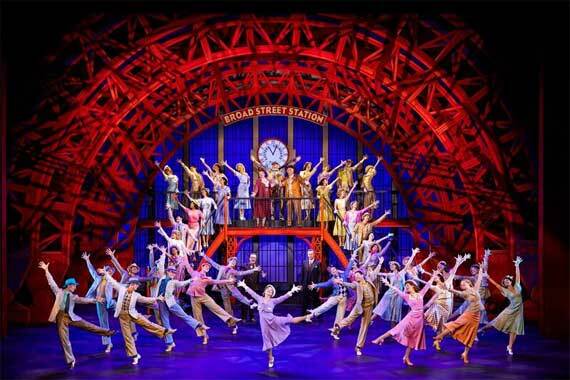 Why book London Theatre Breaks to see 42nd Street? It's possible to save even more when you book your theatre tickets and hotel in one reservation - and the option to add rail tickets to your package makes planning and booking your trip with Hotel Direct even easier. 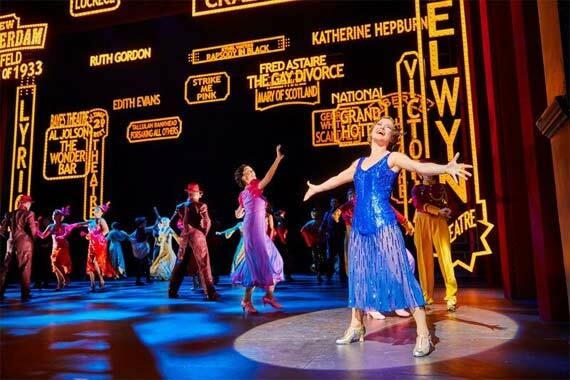 42nd Street has been highly celebrated since its original production on Broadway, winning two Tony Awards for Best Musical and Best Choreography in 1981 and two Drama Desk Awards for Best Choreography and Best Costume Design in the same year. Mark Bramble's revival in 2001 also won two Tony Awards for Best Musical Revival and Best Leading Actress, along with the Drama Desk Award for Outstanding Revival. This production has also received rave reviews from critics across America, with Salt Lake Deseret News stating 'The show is a dazzler, full of energy and heart, colour and motion. Who knew tap dance could be so much fun?' and Salt Lake Tribune claiming '42nd Street is so chock full of entertainment that it barely fits on the stage. 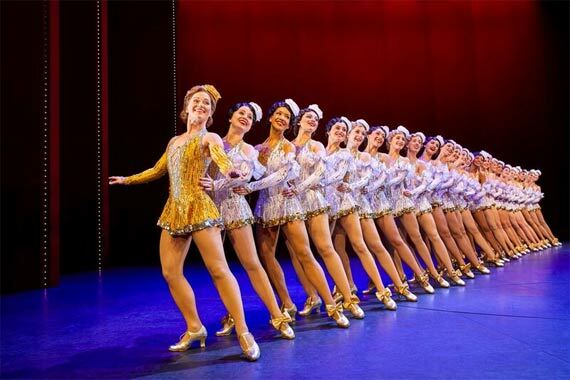 If you're a fan of old movie musicals - if you're looking for just good old-fashioned singing and dancing - you can't do better than 42nd Street'. "Dancing and choreography were magnificent. Some sound distortion on the actors speech in the first half, improved in the second half." "Spectacular show! All that a highly entyshow should be! Made my heart smile10084;65039;"
"This is one of the best West End Shows we have seen. The cast were amazing and they made the exhaustive dance routines look effortless. We wouldn`t hesitate to book to see this show a second time. Amazing!" "Fast, exciting, colourful and a very polished performance." "Great venue, good seats for price, show was fab." 42nd Street Rating:	97%	out of	100	based on	226	reviews.